When Emeka Okechukwu, a corps member serving in Niger State, first got to Paiko, a town about 25 kilometres away from Minna, the capital city, he didn’t have any complaints. But that was before he arrived at the National Youth Service Corps orientation camp in the town. On getting to the camp, Okechukwu’s first impression was that it was a huge eyesore which ought to be demolished. According to him, the poor state of the orientation camp immediately made some corps members to regret coming to the state to serve their fatherland. “I am not pleased that my colleagues and I have to be sleeping and sitting on bare floor in the camp,” he said. The floor, he told The Punch, is infested with dangerous insects including bedbugs. 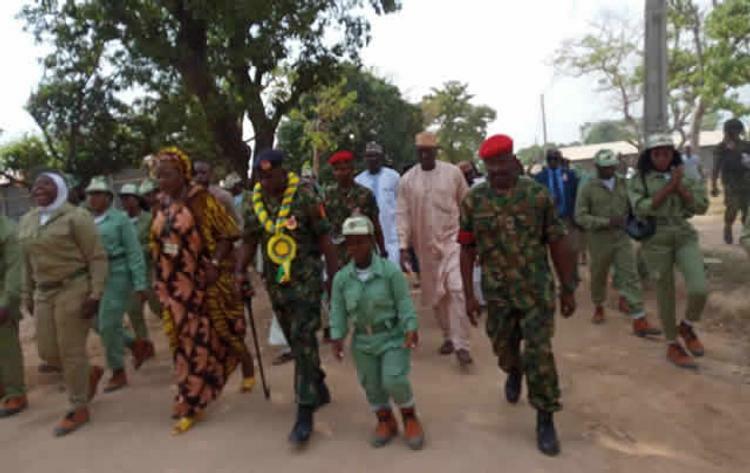 He said, “The temporary orientation camp in Niger State is nothing to write home about; the whole place looks deserted and I wonder why NYSC would allow such a camp to exist. “With what we can see in the camp, it is clear that the state government is insensitive to the plight of corps members posted to the state. “Niger State orientation camp looks like the worst refugee camp you can think of; in fact, they brought us here to suffer us for nothing. If the state government is not ready to do the needful, the NYSC should redeploy us to another state,” he said. According to Joy Peters, another corps member, Niger State should stop taking corps members until it is able to provide a proper camp that can host them. “If the state government is not ready to take adequate care of the corps members posted here, it should ask NYSC to stop posting corps members to the state to avoid embarrassment,” he said. Similarly, Joy Moses, who is currently undergoing her national service in the state, described the condition in the camp as horrible. “They do not have a camp in Niger State; looking at the condition of the school being used as a camp, I told my colleagues that the school was not being used by pupils before we got there. “The ceilings were all bad, there were no bunks, and we had to look for stones to put planks of wood on and it is on the planks of wood that we put our mattresses,” she said. Moses said there were only four pit latrines and no bathroom in the camp. “I wouldn’t have believed that such conditions existed in modern-day Nigeria if I had been told. There was no potable water as a big reservoir there had dirty water in it,” she said. It was learnt by The Punch that many of the NYSC camps in Nigeria are in a bad state, subjecting corps members to hopeless predicament. “The facilities are grossly inadequate, the hostels, the toilets, everything is inadequate. Niger State orientation camp is the worst in the federation. I have met with the governor one-on-one and I am dismayed that he has not fulfilled his promise concerning the camp. “We are not closing down the camp yet, we will give the government the benefit of the doubt. We will give him time to see what will happen but he should know that Niger State camp is the worst camp in the federation,” he said. Efforts to reach Jibrin Ndace, Chief Press Secretary to Governor of Niger State, Abubakar Bello, were not successful as he neither answered his calls nor returned them. 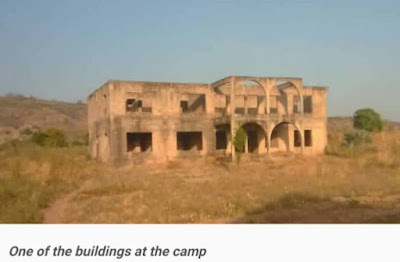 But a source in the Government House, who spoke on condition of anonymity, said the state government was not happy that previous administrations in the state had failed to provide a befitting orientation camp for corps members. The source said it was worrisome that after 40 years of its creation as a state, Niger could not boast of a permanent orientation camp. According to the source, government is making efforts to ensure that the permanent orientation camp in Minna will be ready as soon as possible.